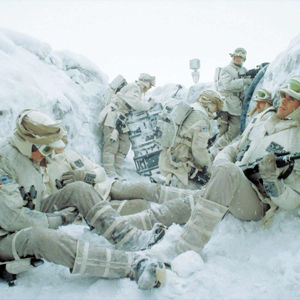 It’s HOTH COLD out there! your the best podcast host in the world!!!! don’t say you not. and they released the first game footage and TOR. by the way, we should all sign up and make a guild on the fourms of TOR and call us the FRONTLINE SOLDIERS or something.